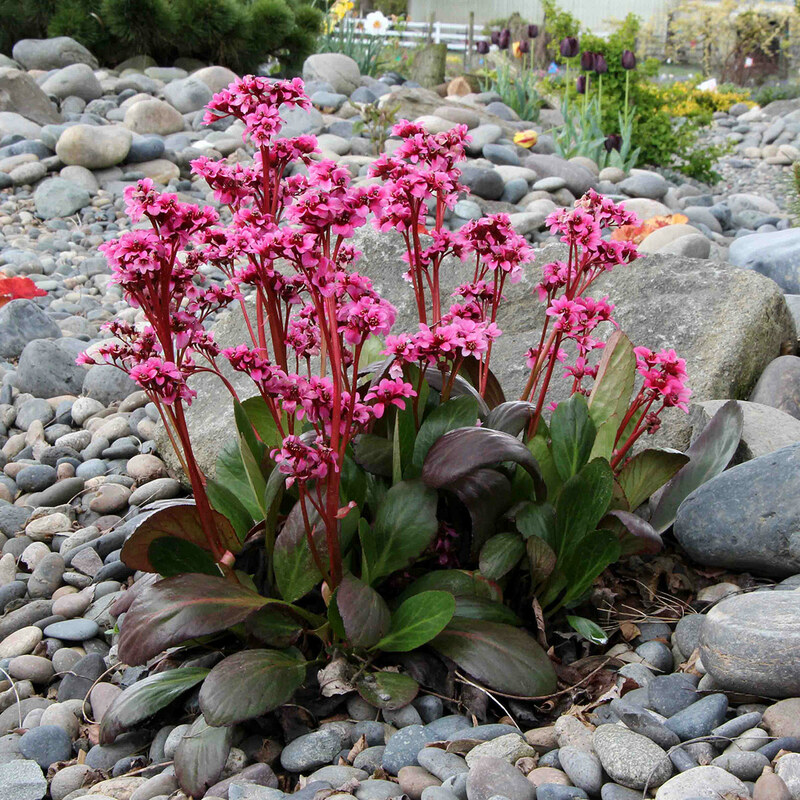 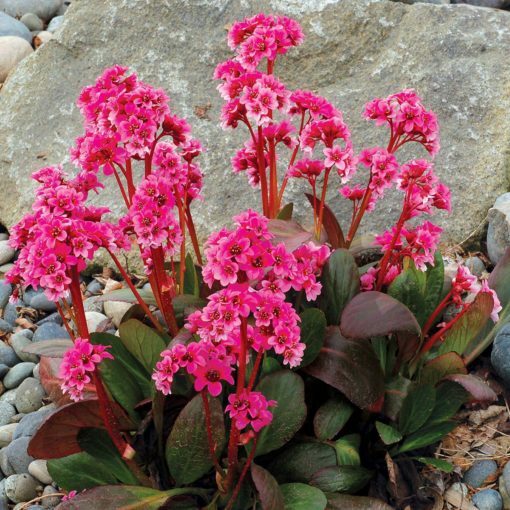 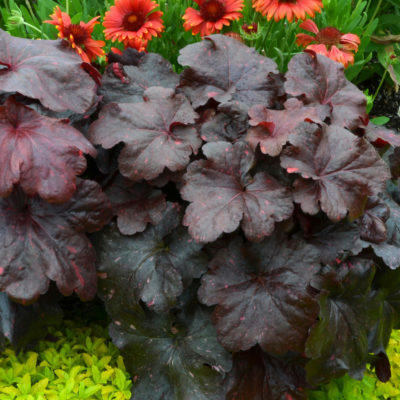 Bergenia DRAGONFLY™ ‘Sakura’ | TERRA NOVA® Nurseries, Inc. The DRAGONFLY™ series offers a group of plants that features profuse blooms and compact glossy foliage that turns a dark purple in winter. 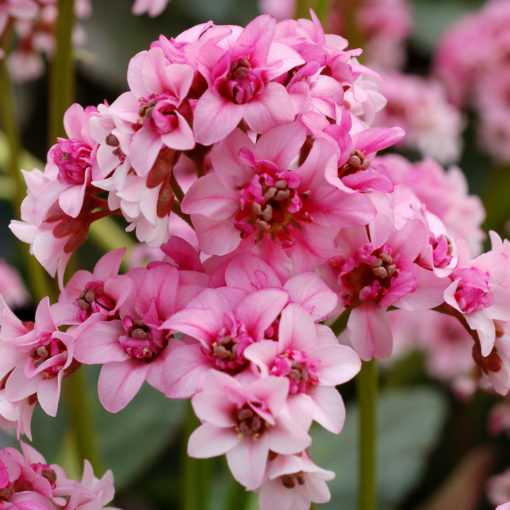 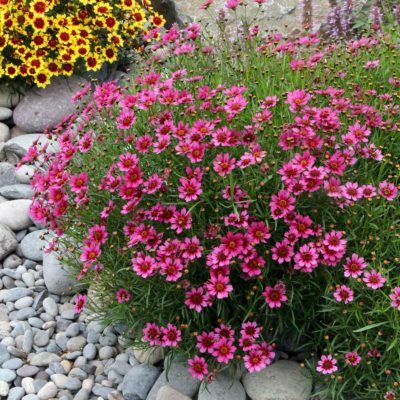 DRAGONFLY™ 'Sakura' produces pink, semi-double flowers that remind us of cherry blossoms. 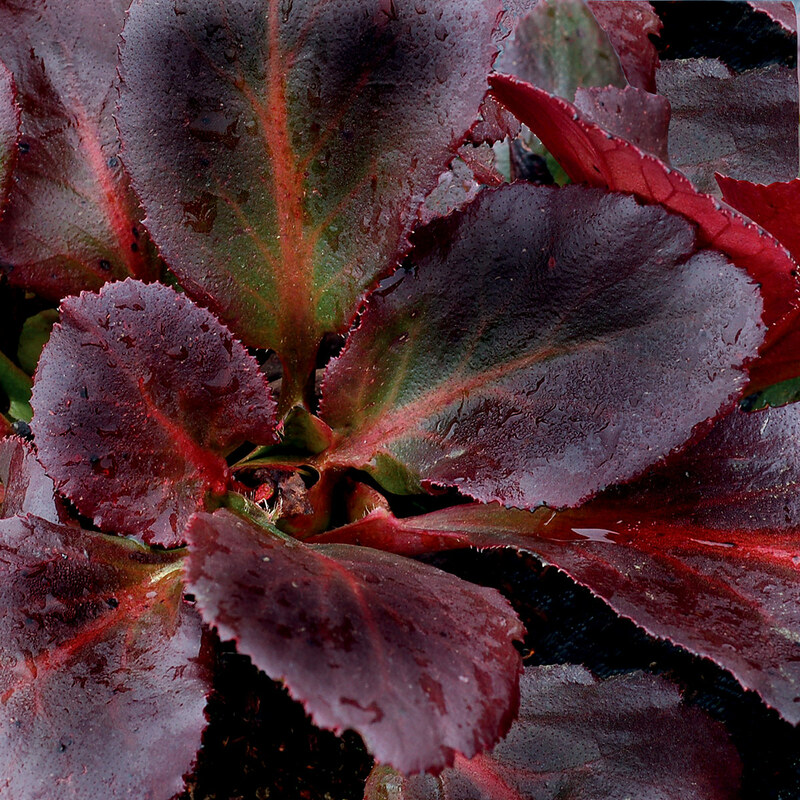 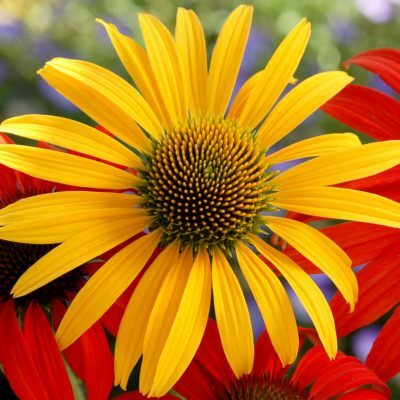 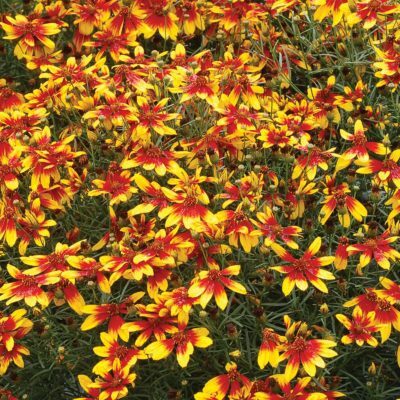 There are so many great reasons to grow this plant but perhaps the best is that it fills these needs for the end consumer; simplicity, beauty and easy care. Needs good soil porosity, otherwise very tolerant. 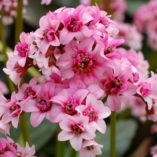 Semi double pink flowers on a compact habit.